Dotzauer: Duo Concertant in B-Flat Major for Two Violins, Op. 44, No. 1 (ca. 1822). No. 1 in B-flat Major is a virtuoso work for two equal players. 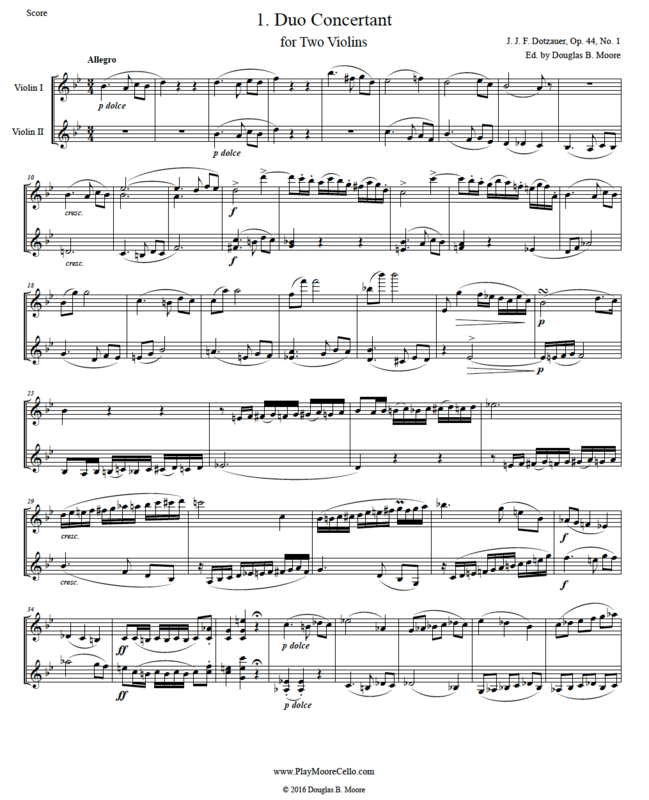 The first movement is a sonata form and contains a fugato. The second movement is an Andante in G Minor and the third a lively Rondo.